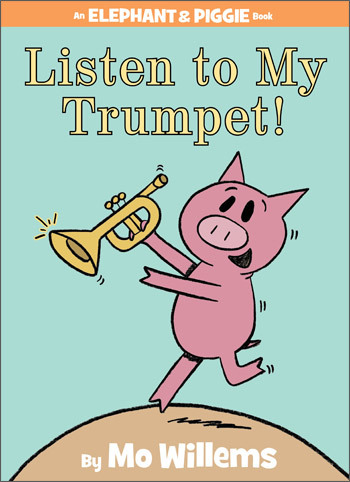 In Listen to My Trumpet! Piggie can’t wait to play her new instrument for Gerald! But is she ready to listen to his reaction?